Rowan’s Creek Bourbon was sampled all by itself this evening in my own Manhattan pied-à-tierre. 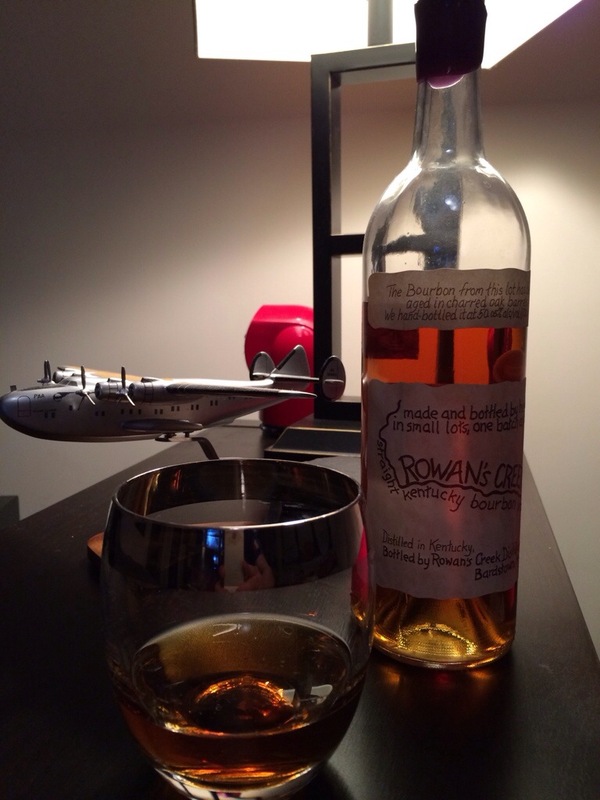 Bottled by Kentucky Bourbon Distillers (KBD), Rowan’s Creek is a small batch bourbon similar to Willet’s offerings Noah’s Mill and Johnny Drum, that is sourced from another distillery. Despite this fact that it is not “entirely their own creation”, I found this bourbon very enjoyable without ice or any other mixers.